Kymeta Corporation and Lepton Global Solutions Partner to Connect Government and Military End-Users with Groundbreaking Flat Panel Kymeta KyWay™ Terminals. 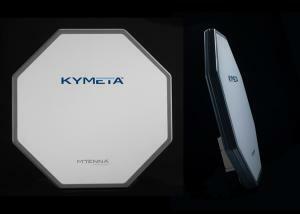 VIENNA, VA, USA, November 6, 2018 /EINPresswire.com/ — Lepton Global Solutions, a leading provider of customized, cost-effective, end-to-end satellite communications solutions, today announced a partnership with Kymeta, a manufacturer of the electronically-steered, flat-panel Kymeta KyWay™ satellite terminal. Lepton Global has added Kymeta’s next generation flat-panel technology to their government customer offering. “Kymeta’s KyWay terminal features unique, groundbreaking capabilities that will benefit many agencies within the U.S. government,” said Rob Weitendorf, Managing Partner at Lepton Global Solutions. 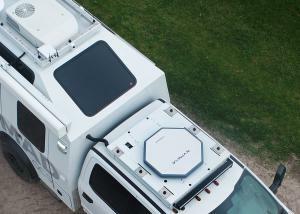 “Certain government customers require this antenna profile, and we are excited to now offer flat-panel, mobile connectivity to customers whose mission depends on it,” he said. Kymeta’s Ku-band high-throughput communication system does not require mechanical components to steer toward a satellite. It provides value to Lepton’s government and military customers seeking fast-tracking, on-the-move, high-speed connectivity in areas where terrestrial networks are unreliable or non-existent. Lepton Global synchronizes global satellite capacity, hub infrastructure, multiple points of presence, and proactive, hands-on customer service to provide clients with a competitive edge in their missions. The technological advances offered in Kymeta’s products in combination with Lepton’s value-add offerings are addressing critical needs for reliable on-the-move satellite communications capabilities anywhere, anytime. Kymeta is making seamless, always-connected mobile communications possible across satellite and cellular networks to deliver a single, global, mobile network. End-to-end mobile communications are delivered with Kymeta KĀLO™ connectivity services, and the only commercially-available, electronically-steered, flat-panel satellite terminal that goes places traditional satellite antennas cannot. Backed by the U.S. and international patents and licenses, the Kymeta KyWay™ satellite terminal makes high-throughput, mobile communications possible in cars, trains, buses, trucks, boats, and much more. If it moves, Kymeta keeps it connected. For more information, visit kymetacorp.com and KALO.net. Lepton Global Solutions specializes in the engineering and delivery of customized, yet cost-effective turnkey satellite communications solutions to commercial and government customers. Lepton’s end-to-end solutions, which go beyond managed satellite services to include VSAT equipment installation, 24×7 technical support, and customized back-end IT infrastructure, are tailored to meet customer-specific needs. Lepton is headquartered outside Washington, D.C., in Vienna, Virginia. For additional information, please visit www.leptonglobal.com.